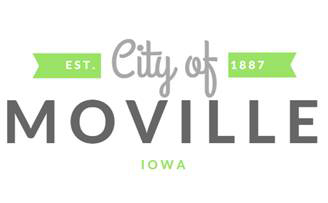 The City has constructed a trail starting at Main Street traveling out to the Moville Community Center and stretches past the Meadows Country Club. 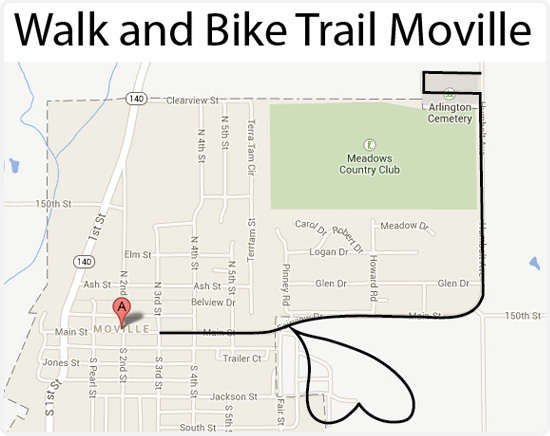 The trail is a mile long and provides an excellent opportunity for walking, running and biking. Not only does this trail take you through town but along the outer limits of Moville proving a quiet and calm setting for your enjoyment. If you are in Moville for a period of time and are looking for other trails or recreational location Hillview Rec Area is located 1 mile outside of Hinton for great hiking, canoeing, kayaking and more. Stone State Park is also a short drive away and is a great little park with hiking that has an overlook to the Missouri River.